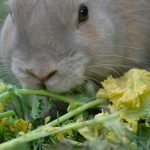 1 Why should you care about playing and exercising with your bunny? 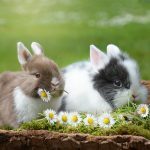 2 Looking for simple and accessible ideas when it comes to playing with your bunny? 3 Don’t have enough time to play with your bun? 4 How to play with your bunny outside? TIPS & TRICKS! Why should you care about playing and exercising with your bunny? 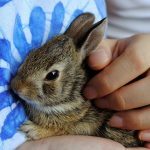 Before knowing how to play with your bunny, you need to understand why this is essential to your pet. Like humans or their wild relatives, pet rabbits do also need to exercise and play. 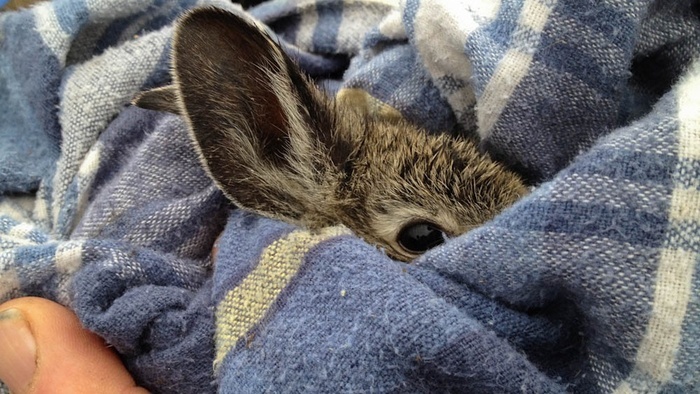 In the wild, rabbits run around 3 miles each day! Your pet also needs some action. This is how you avoid aggressive behavior, like destroying the cage or their own fur. To bypass stress and apathy they must play. Without exercise and a good diet, you guessed it, your rabbit will gain weight. In time, this will put pressure on other parts of his body (cardiovascular system, the pads of its feet). 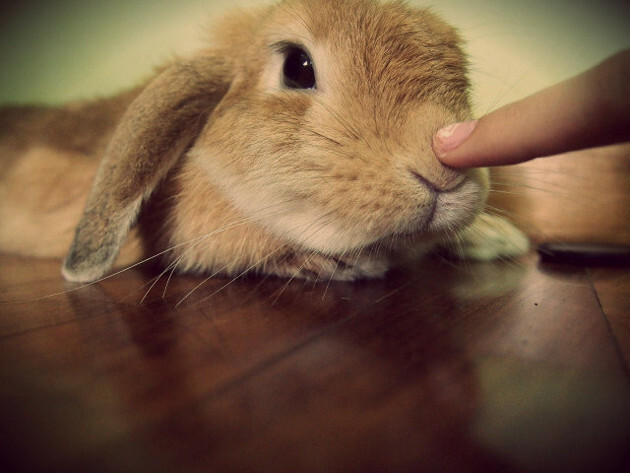 Looking for simple and accessible ideas when it comes to playing with your bunny? Maybe the easiest and most relaxing way of playing with your bunny is to sit or lie on the ground and let your rabbit approach you. Providing enough space? In the shelter area, the rabbit should be able to complete 3 – 4 consecutive hops. For all his activities, the recommended size for the living space is at least 12 square feet (6ft x 2ft x 2ft for the HUTCH + 8ft x 4ft x 4ft for the RUN — minimum measurements according to the Animal Welfare Act). 4. DIY CREATIVE TOYS (for variety and mental stimulation): use pine cones (wash and dry them thoroughly), natural sisal rope, wood, twigs, willow rings, sticks, roots to build chewing toys. Some ideas! From cardboard boxes, you can create an entire castle by cutting a few circles or little doors. Your bunny will be more than happy to explore and move around. You can also try to build a wood tunnel made of 3 pieces of furniture put together. Or, stuff toilet paper rolls or cardboard tubes from paper towel with hay to gain your rabbit’s interest for a good period of time. Or even more creative ideas: hang in clothespins, on a sisal rope some vegetables. Your rabbit will be happy to nibble on them. Placing treats in key places will make your rabbit move more and you will have even more fun with your friend. 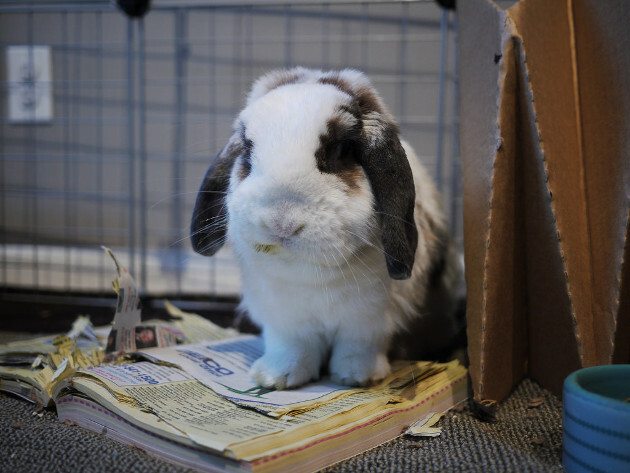 Check out these links to learn more about playing with a phone book (yes, newspaper ink is safe for your bunny) or a cardboard box (if your rabbit is into chewing use less cardboard). Don’t have enough time to play with your bun? If you don’t have so much time to play with your bunny try to move your rabbit around. Changing the playing areas between them is a good idea but be sure that they are all rabbit-proof areas. Be practical! 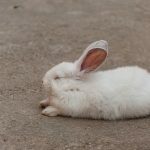 Mornings and evenings are the best times as this is when rabbits are most active because they are crepuscular. 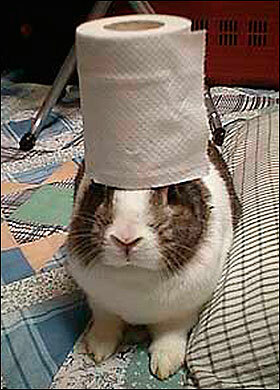 Here at rabbits.life we encourage you to spend time with your bunny because this is how you know him better. For instance, what is your bun’s favorite activity: chewing or digging? Some bunnies are more into chewing while others are more into digging. 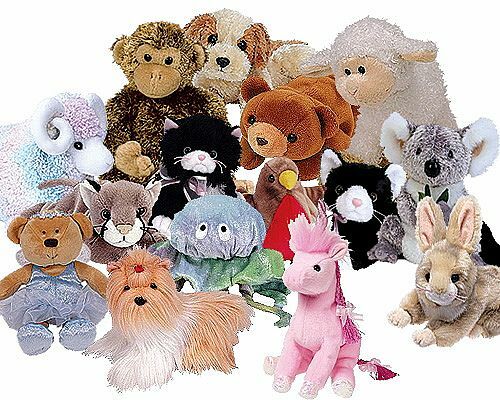 Buy or craft toys that match your rabbit’s inclinations. 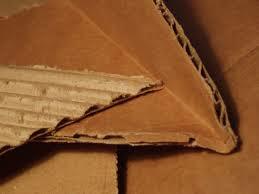 If he is more into chewing – don’t use that much cardboard, use more wood for your DIY toys. 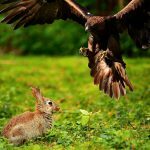 How to play with your bunny outside? TIPS & TRICKS! – beware of poisonous houseplants. Providing your rabbit with exercise will assure overall health, muscle development and it will prevent obesity. Plus, exercising is a good way for you to bond with your furry friend. If you don’t have an energetic rabbit make sure you give him the time and space to run around and explore, to stay active and healthy. But if you do, how to play with your bunny is an easy task. An active rabbit is a happy rabbit.